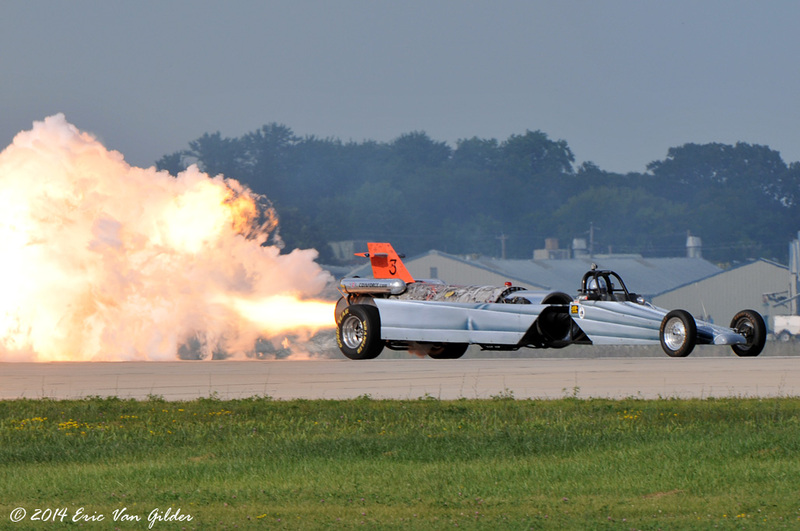 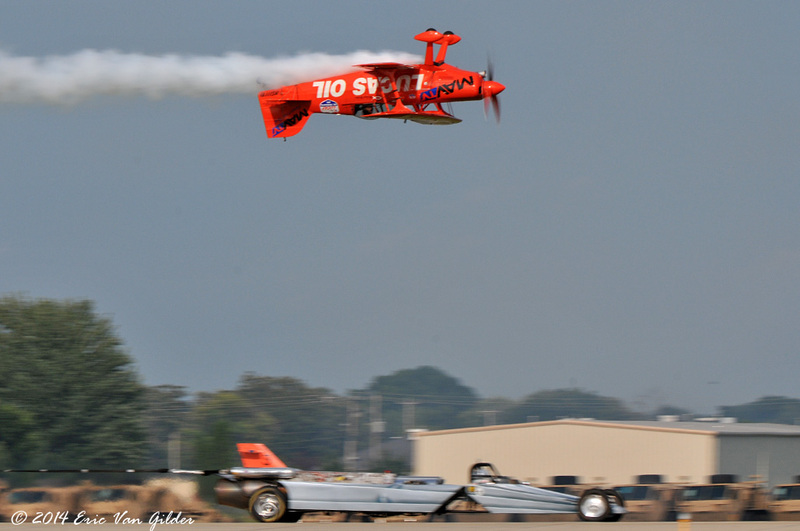 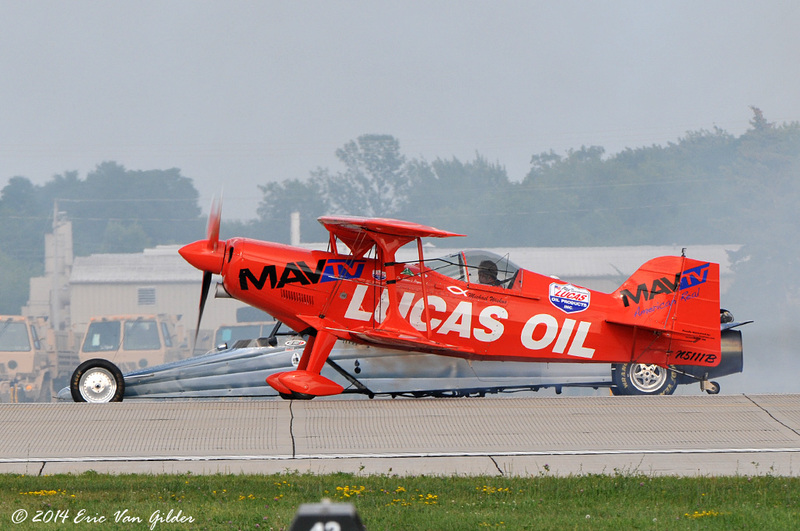 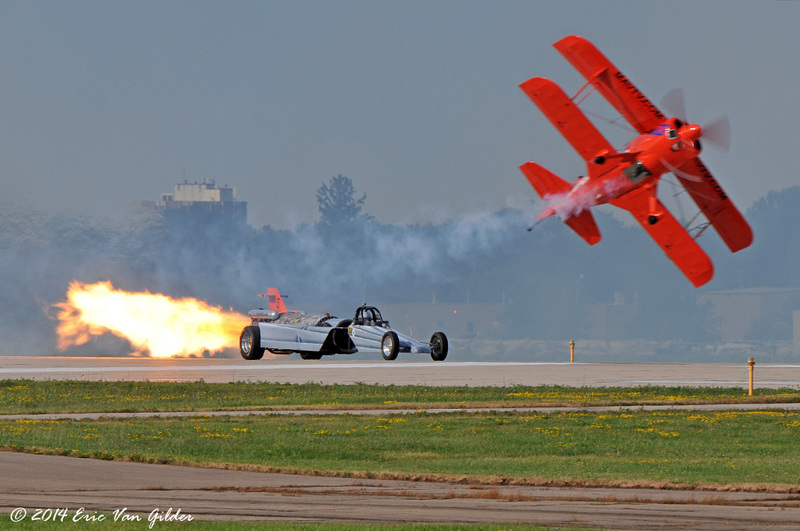 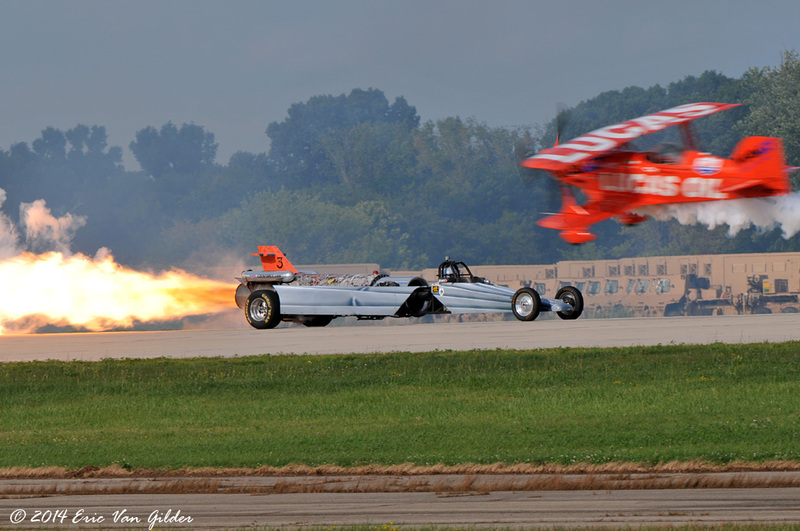 In a fun classic duel of horsepower, Mike Wiskus in his aerobatic airplane raced Bill Braack in his Jetcar. 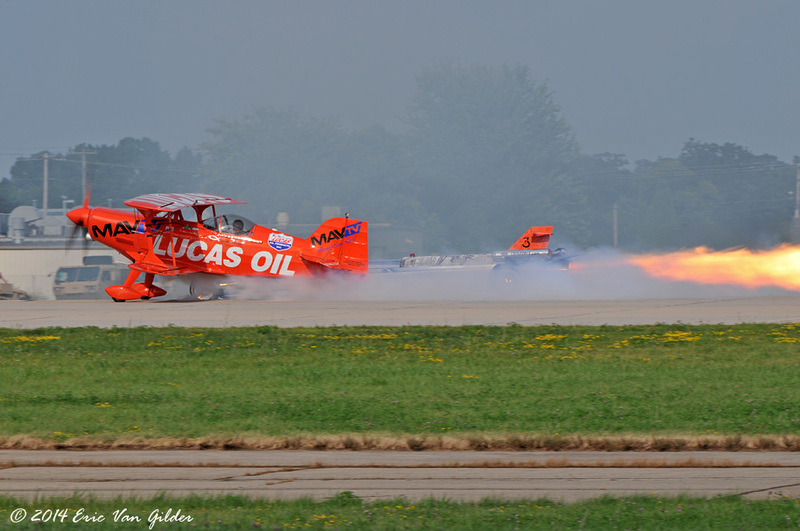 It's a fun and exciting part of the airshow with lots of smoke, noise and fire. 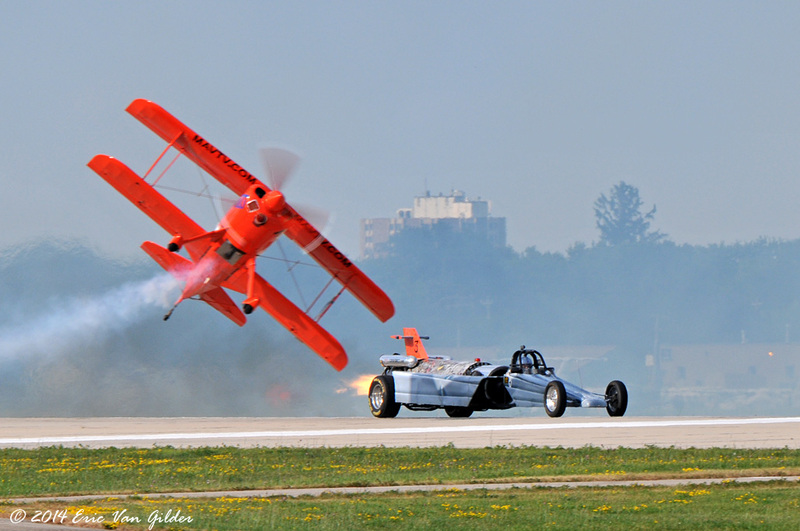 It was difficult to tell who won in the end, but it was fun to watch.